As 2018 is about to end, everyone is thinking about their new year resolutions. Similarly, Digital Marketers have started wrapping up the current campaigns and switching the sights on the upcoming year. 2018 showed us the rapid pace of advancements in marketing strategies and tools that are not at all going to slow down anytime soon. To keep up the pace, Digital Marketing Companies need to know, what are the expectation of the future - especially when the world is revolving around the digital platforms. Do not get it wrong, but staying up-to-date with the Latest Marketing Trends is an essential factor. Along with that, no one can overlook the importance of audience engagements. The functionalities and algorithms of search engines are changing day by day. Now it is going to be tough competition, even tougher if you’re not paying enough attention and open to new changes. To be in the game in 2019 and in order to improve your search rankings, watch out ensuing SEO Trends as listed below and prepare your Digital Marketing and SEO Services for the upcoming battles. The popularity of voice assistant is now rapidly increasing with the introduction of Google Home and Amazon Echo. Voice-based searches are enhancing personalization. It is reasonable to say, Voice assistant changed the way how people use search engines, - a user started interacting in a more engaging way. 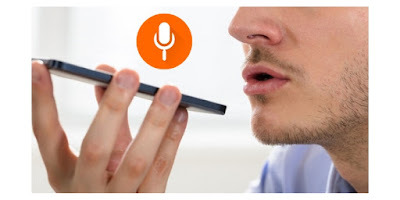 The results of voice-based searches are the emphasis on features snippets. In other words, Voice Assistants such as Google Home pull answers to voice queries from websites that are ranked in position zero. In addition, Voice Search Optimization are yielding more and more web traffic. Voice-based searches are resulting in better content – and better stories. Along with that, Voice Assistants are pushing companies to create new kinds of content. Henceforth, you are now enabled to push products in new ways and enabling extraordinary experiences. To optimize content efficiently for voice searches, think - how your content sounds out loud. Does it get to the points quickly? Is it conversational enough to engage the user? These are important questions to ask if you want your content to be found via voice searches. Google says, nearly a third part of total searches return a snippet. What is feature Snippets? Features snippets are those which stand out while the text appearing at the top of certain results that briefly answer your queries. Almost every time when someone performs a voice search, they will get featured snippet as the result. As Google is getting updated frequently, so does snippets. However, snippets eat up your website traffic, because the user is getting what they want in the featured snippet. In the coming years, it is quite necessary to optimize content for featured snippets. Here, marketers need to review how the bites of their content will sound or look while searching for different topics. The audience is no longer search with one or two keywords. They seek a perfect and much relevant answer for their questions, thus they will type a long phrase which will boost the possibility of getting a precise answer within top searches. We are pretty much convinced that Google is getting smarter about featured snippets, it’s also working on how to address our queries in a much efficient manner, relevant topics and it is not just bound by only keywords. So, its better to hire Digital Marketing Service agency that prioritise relevant, informative and catchy content to make the user click on it. The content that is fully equipped to answer a question on a specific topic, will do better than a call-and-response content which has targeted the isolated keywords. Surely, this topic cluster model of a content optimization will become more and more popular, upcoming years. The backlinks are one of the strongest mentions to Google, which speaks for the website quality and trustworthiness. For years, we were earning popularity via a featured or press mention and it felt little like a hollow victory. But that’s changing now. Now, Google is getting much better at value assessment, quality checking and relevance of content on any page. Today, when a company is getting a mention on a reputed place, even without a backlink - it solidifies the connection. That does not mean backlinks aren't still important, however, it a gentle reminder to each brand that actual content quality and relevance is the key to have a strong hold on the visitors. By keeping that in mind, digital marketing practices need to work towards getting more and more brand mentions with relevant links or no links. None of above say that short-term tactics do not have their uses, it is just that the replicable results demand more time. Hence, the Digital Marketing Companies should look above and beyond than the usual monthly or quarterly goals. Long-term visions of digital marketers will help you create a steady online presence which will drive more leads, interest and revenue over time. As the internet is being a more crowded place, a key to your Search Engine Optimization success is not determined to win the battle for one-off keywords but it is determined on the basis of generating organic leads through forward-thinking content. Keep this key in mind while crafting your Effective SEO Strategies. Indeed that will boost your brand top of SERPs, and mind in the upcoming years. The advanced technologies and internet crowd push us to think beyond, and the biggest SEO trends for 2019 is not newly invented overnight, but it demands to walk hand in hand with people's mindset; which keeps on changing at a rapid pace. Optimization of the content is a long term process, however, strategy and planning are the vital factors to see the actual results. Gone are the days when you were jumping on trendy keywords, as well as gobble up on the web traffic. Now, generation is much aware, keep the quality of content is high, building trust and long-term visions actually going to help your business. With the rise of the more and more competitive website coming online, on a daily basis, it is more likely that if your business backed by the highly vetted Digital Marketing Company, walk hand in hand with all the digital marketing trends to get optimum results then it will reap more rewards.